Established in 1976, Al Tasnim Enterprises LLC (erstwhile Al Turki Enterprises LLC) is a 100% Omani owned construction company known for delivering high quality construction, products and services to our valued customers in a timely and safe manner. It has grown into being one of the leaders in the construction industry in Oman with a workforce of over 22,000 people. Al Tasnim, GRC Division, has grown to be the market leader in the Sultanate of Oman, having almost two-third of the market share. Always innovating, the company is the pioneer in developing new surface finishes such as Glitterite, Mineralite and Simulated Stone Finished GRC Products. 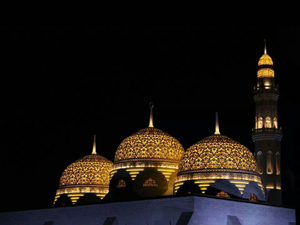 If you look anywhere in the Sultanate of Oman, you will find Al Tasnim everywhere – right from GRC screens, Decorative Domes to Mosques, Minarets, landscaping and decorative columns to balusters. Realizing the market potential and in line with the policy of backward integration to support in-house construction activity, the GRC Division was established in the year 1990. Specially designed computerized controlled Premix and Spray Station were imported for the first time in Oman from the reputed GRC machinery manufacturing firm Power-Sprays Ltd., UK to begin operations and give a new dimension to construction-related activities. The state-of-the-art machinery complimented by highly motivated, well experienced staff and craftsmen resulted in production of high quality GRC products. 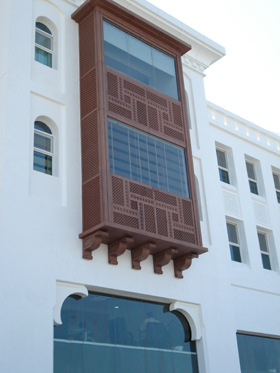 Al Tasnim range of products includes architectural products such as Decorative Screens, A.C. 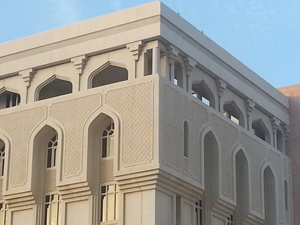 Covers, Cladding Panels, Column Capital, Bases, Domes, Castellations, Planters, Permanent Formwork and a wide range of custom-made applications. Al Tasnim GRC Factory is situated over a sprawling 30,000 sq.m. plot which includes a covered factory shed of 5,000 sq.m.at Public Establishments for Industrial Estates, Rusayl in Sultanate of Oman with the best in manpower and machinery. The factory has an in-house Quality Control Laboratory with computerized Tensile Testing equipment conforming to international standards.